Elf TP1 basin and Brent C basin, if I remember correctly. 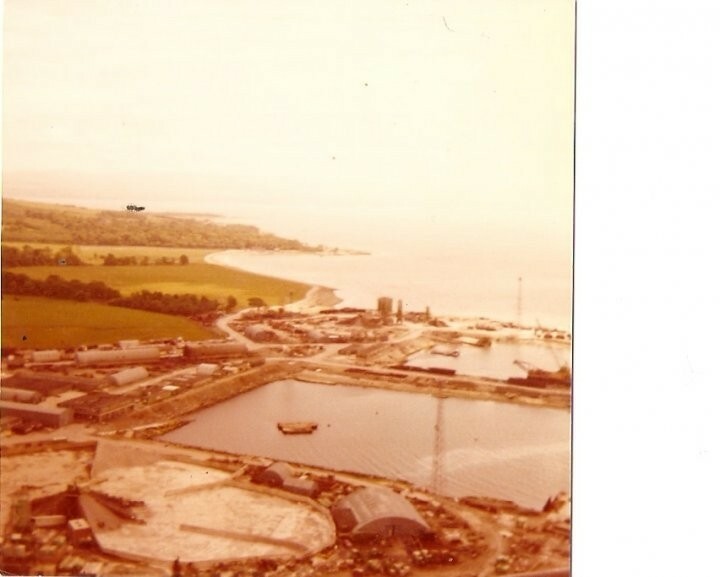 Also shows McAlpine offices (2 storey) then Sea Tank offices, then Shell offices, then UIE offices along the edge of the basin. What a achievement. 3 platforms built in 3 years, don't think this would happen now. Many is the time I walked down to the Charlie in the basin and then across the bridge. What a surprise when it floated out. Added by Stan Gaston on 11 April 2017. Added by Norm on 06 November 2018.